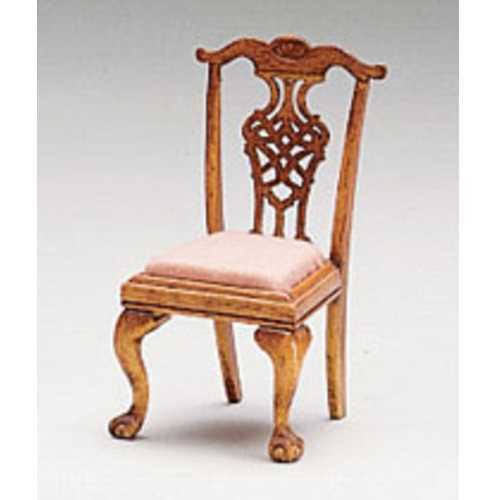 From Houseworks Kits, 1:12 scale wood chair kit, highly detailed. Assembles with glue. Paint or stain to your liking. Comes unassembled and unfinished.